What Was That Drum Seen In Moana? 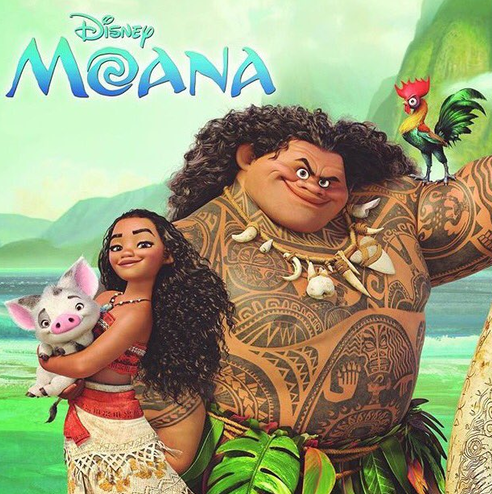 Lots of young children and those of us who are kids at heart have fallen in love with the latest Disney animated film set in the Pacific Islands, called Moana. If you haven’t seen it yet; I promise, no spoilers here! 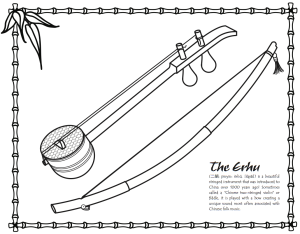 While enjoying the film, music-lovers will notice a unique drum makes a brief appearance and helps our young heroine discover an important aspect of the history of her people. To most Westerns eyes, this sideways, longer wooden drum may look a bit unusual. Were you wondering what it was? Although we don’t get a good look at it, it’s most likely inspired by the slit drums or a log drums found throughout the Pacific Islands. 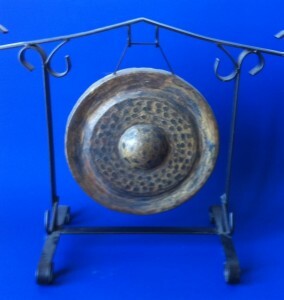 The drum pictured above is very similar to the one seen in the movie. 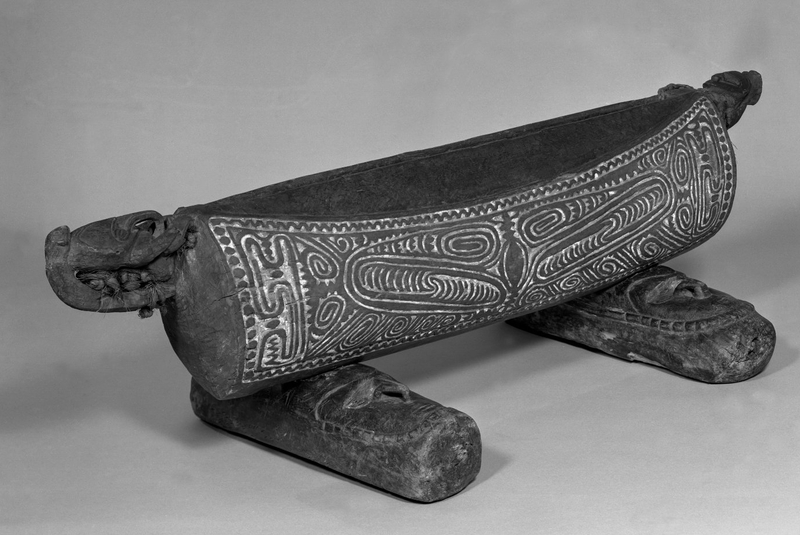 Made in Papau, New Guinea, this elaborately carved slit drum is placed on two wooden rests and played by striking the top (open) area. Unpainted and left it’s natural color, the inner carved area is rubbed with white lime, making the beautiful traditional designs stand out. You’ll notice lots of similarities between the artwork and the tattoos in the movie and the carvings seen on the drum here! 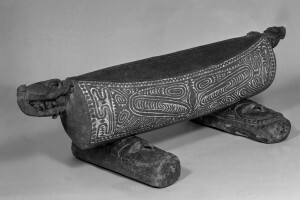 Although you can’t walk into a museum and see this drum first-hand, you can check out it’s complete information page on the Brooklyn Museum website, where it is part of an “Arts of the Pacific Islands.” You can also check out the link below that shares another similar drum from Tokelau, three islands that are north of New Zealand and East of Australia. 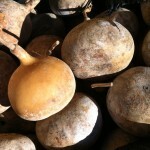 The Wikipedia page on the music of Tokelau has some very helpful background about this drum as part of communal singing and dancing rites and rituals, used to not only bring the people of the island together but to preserve and share ancestral history, just like we see in this latest movie about a strong young woman finding her way and saving her people! 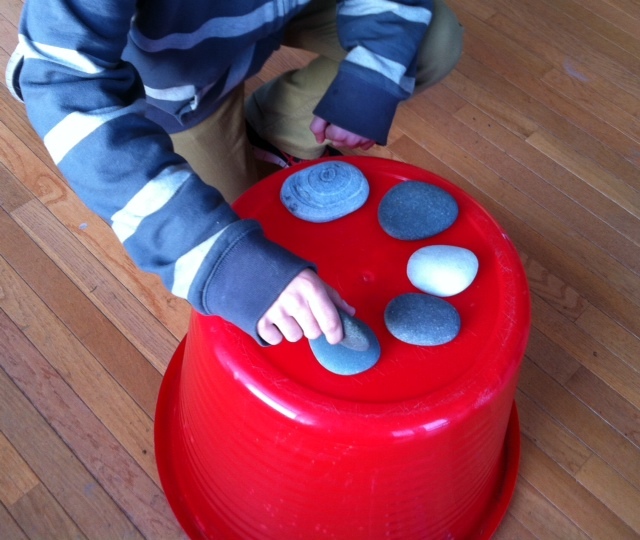 Intrigued by this type of drum and want to share it with your child? 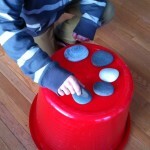 There are definitely kid size slit drums; like the one pictured here, that any child can use to rock their world! A Musical Journey To Hawaii! 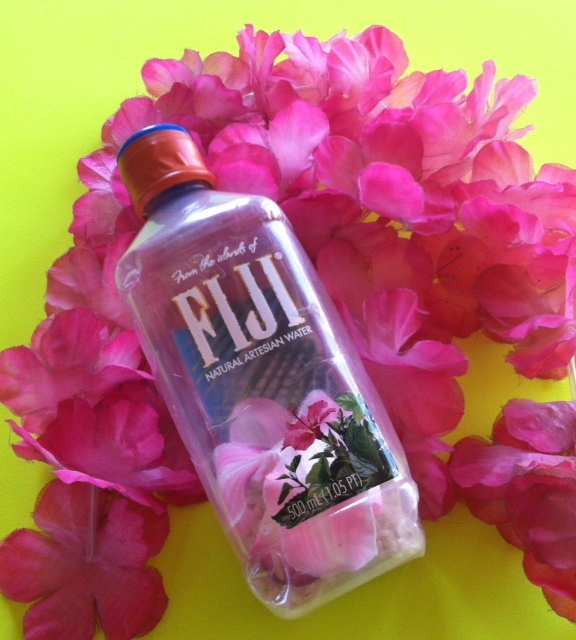 Can’t make it to the beautiful island of Hawaii this summer? 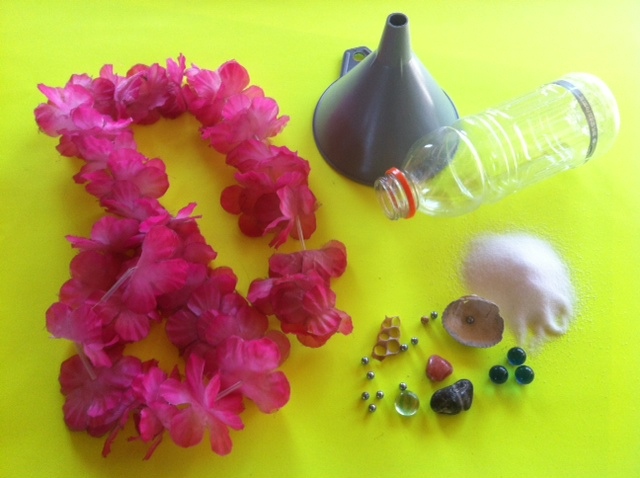 No worries – here are some fun and easy ways to have a Hawaiian-themed musical play-vacation with your kids! There are many different kinds of Hawaiian hula dances. 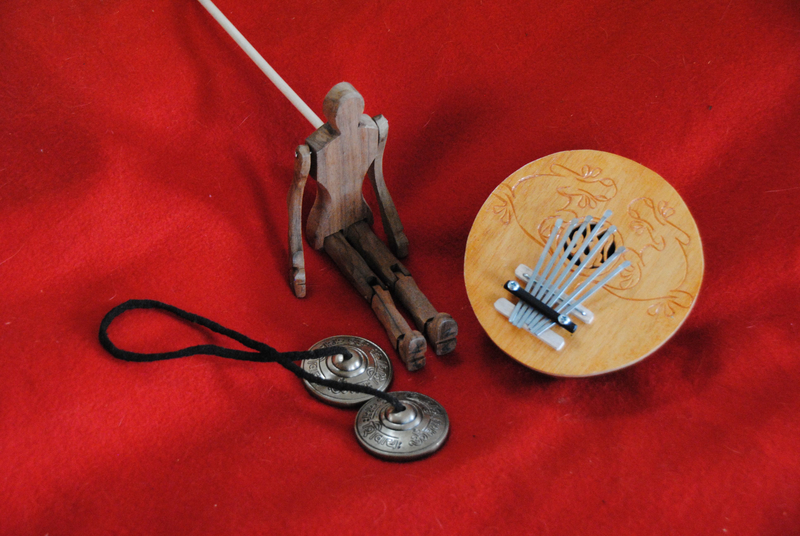 One form of hula uses bamboo rhythm sticks (below right); called pu’ili, that are tapped together by the dancers to make interesting beats. 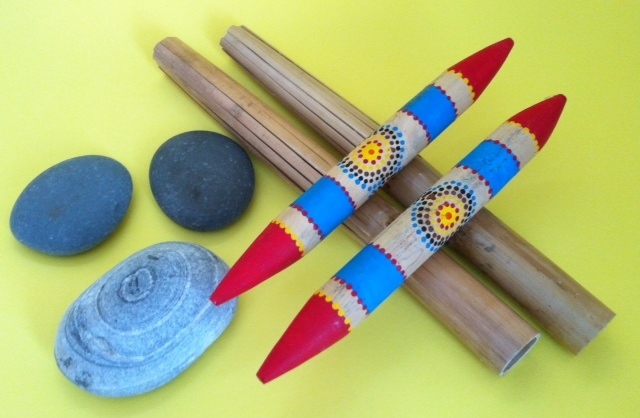 And the sticks are not just tapped together in front of the dancers – use can use them as a part of some terrific music and movement activities. 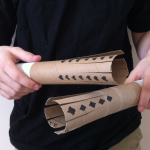 Making your own pu’ili sticks from paper towel rolls – much easier then finding and cutting bamboo – can be the basis of some wonderful percussion play with your child! Find the step by step directions plus movement suggestions in the resource list below. Hula dancers also tap together smooth stones as part of their percussion fun. 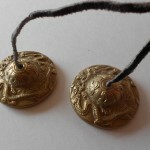 They play them in a way that is similar to Spanish castanets! 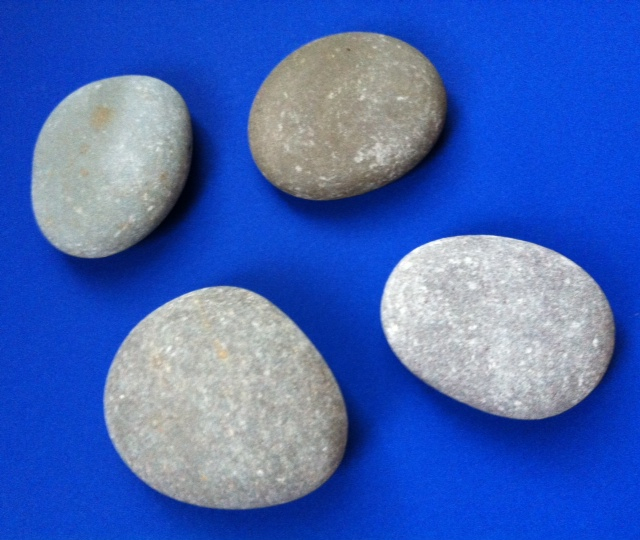 Even if you can’t tap these stones together like talented dancers, you can use river rocks make up rhythms as a part of natural musical play. 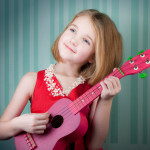 A uke is a great first stringed instrument for a child. It’s small size and easy chord positions mean that your little one can be playing easy songs within the first few hours of instruction. And what about you? Learning an instrument with your child is a great way to show your child how acquiring a new skill requires patience and practice – even for grown-ups! And it sets the stage for wonderful bonding. If your child is better at the uke, let them play and you clap out the beat or sing the words. Or trade places and see what happens. 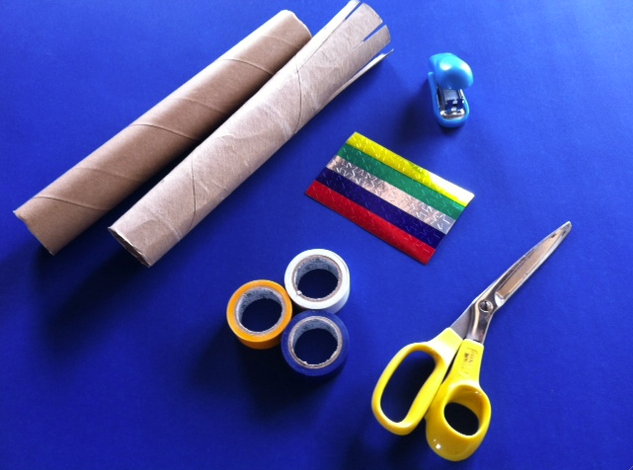 This is a fun way to make music a part of your everyday learning and enrichment. 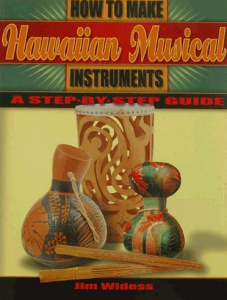 Aside from the exotic Hawaiian setting of this animated Disney Classic, we love the bonus features on the DVD that share more about Hawaiian music, hula and musical instruments like the gourd ipu. If you’re a serious crafter and got inspired by gourd instruments from Hawaii, this book offers fantastic instructions on making both the simple and the more complex Hawaiian instruments, including lots of percussion that can be enjoyed with any type of music. Not up for crafting? 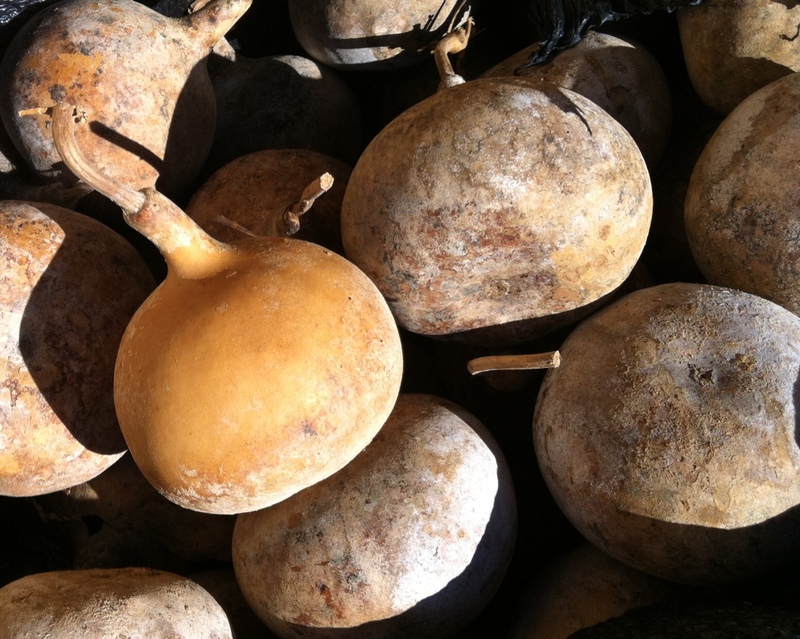 There’s a link below where you can browse and purchase real musical gourds from a Hawaiian family-owned business that grows and makes their own. 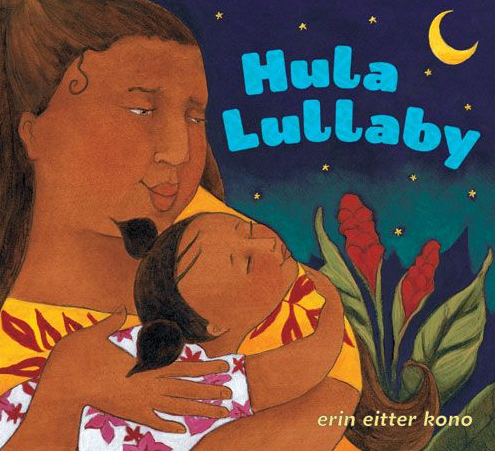 Last of all, you might want to nod off to sleep with this beautifully illustrated book that will lull everyone to sleep with an island lullabye. A Hula Lullabye is a great way to end an exciting day of play! 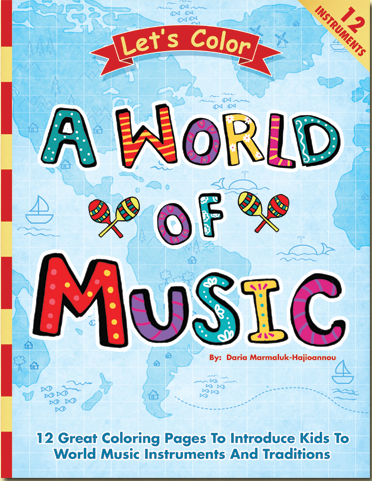 Color The Musical Instruments – All The Way Around The World! Who doesn’t love to color? 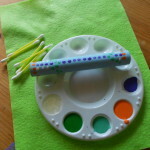 No matter how young or old you area, it’s fun to get out a set of crayons or colored pencils and personalize a perfect page! 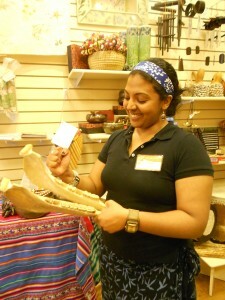 And if you can also learn about other cultures in the process, all the better! 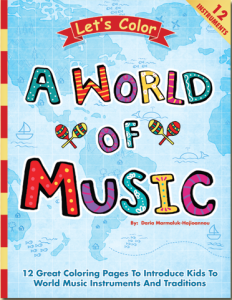 We’ve just released this e-book that’s actually a compilation of readers’ favorite musical instrument pages from the WORLD MUSIC WITH DARIA website. 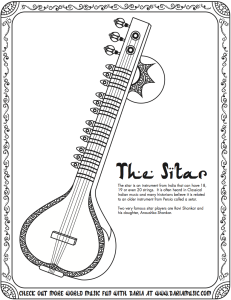 Called “Let’s Color … A World Of Music!” there are 12 pages including common favorites like the guitar as well as more unique instruments such as the balalaika from Russia, the sitar from India or the panpipes (zampoñas) from South America. In addition to coloring fun, you can also use this book as a creative way to learn about other cultures. 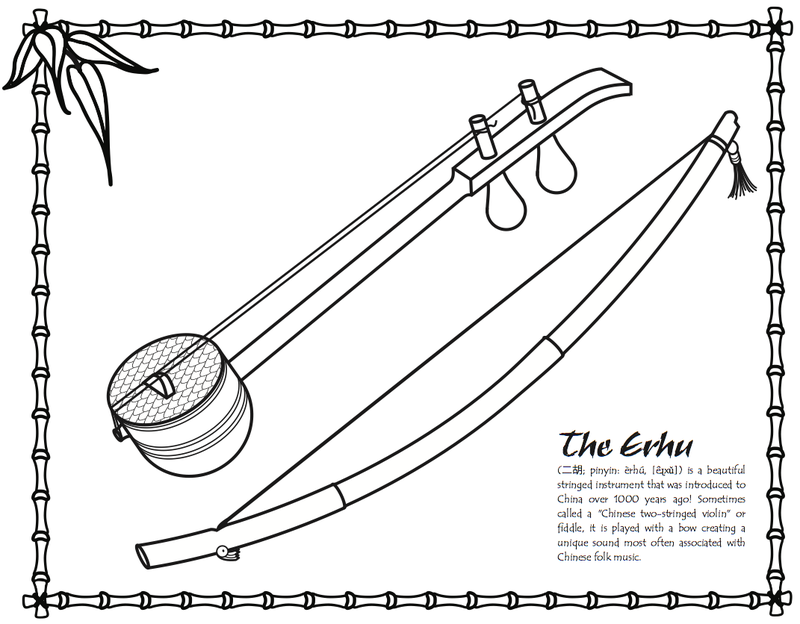 For instance, if you listen to any classical or traditional music from China, you’ll probably hear an erhu. In “Let’s Color … A World Of Music!” you can not only see what it looks like but find out what it is made of and how it is played as well. 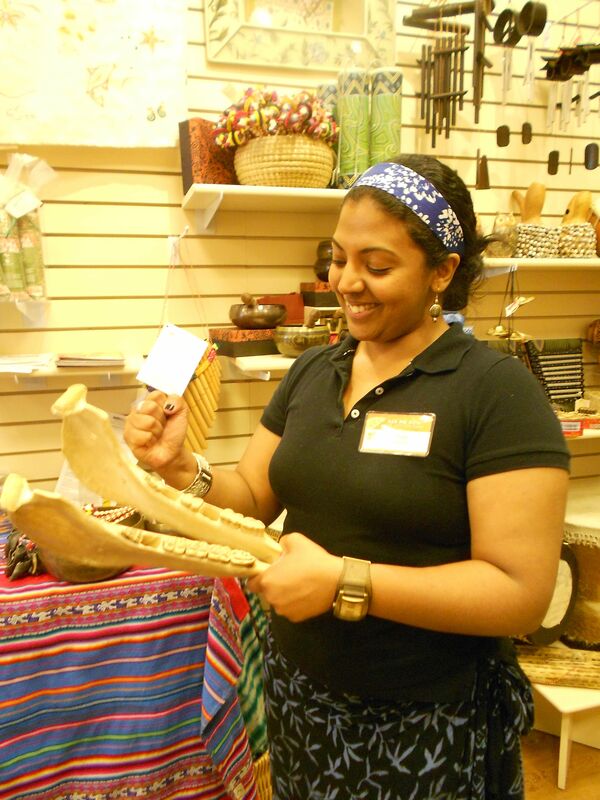 Exploring the culture of India? 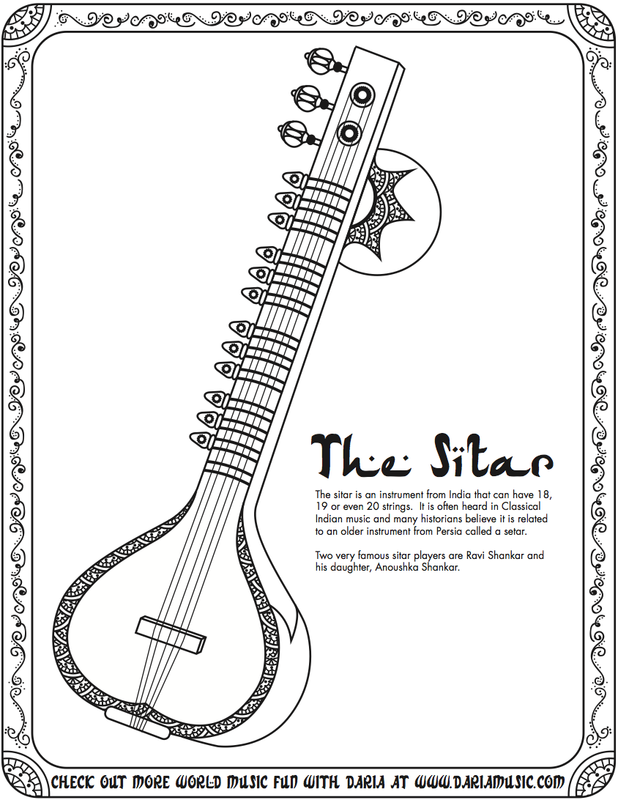 You can learn about a sitar or a two-headed drum from Northern India called a dhol. If you’re taking a virtual trip to the Andes, you can find a miniature guitar made from shell of an armadillo or a special rattle (called chapchas) made from the toenails of sheep or goats. Erhu, Guitar, Sitar, Ukulele and Zampoñas. This post was originally published in 2014 with a “free E-book offer. 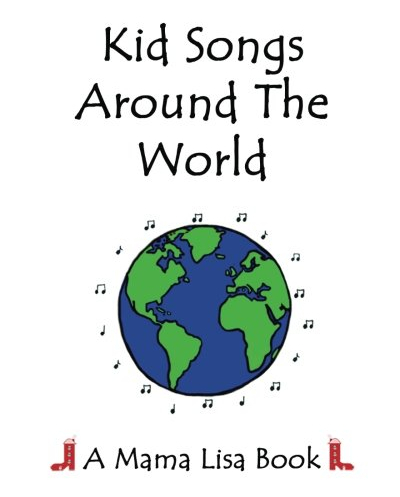 If you’re a teacher or parent on a limited budget and want a free Educator’s copy, please e-mail dariamusic at yahoo dot com. 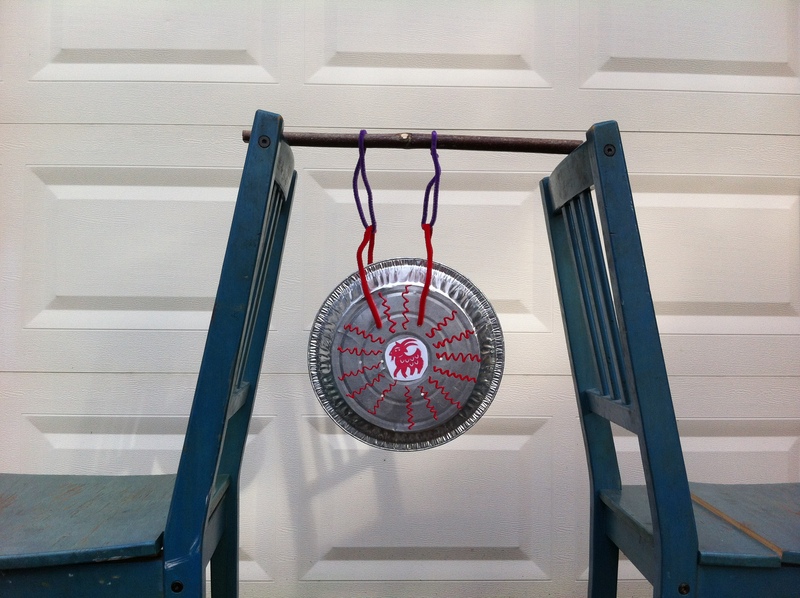 This post is part of a blog-hop celebrating Asian-Pacific American Heritage Month. Sponsored by Multicultural Kid Blogger Network, you can find many wonderful related posts at the link at the bottom of this article. 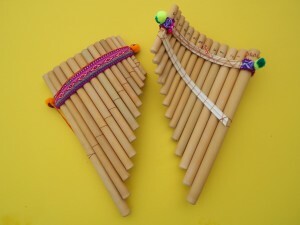 Some truly beautiful and unique music and movement activities for preschoolers come from the diverse cultures of Asia and the Pacific. Here are some really easy projects you can create to explore both the music and the culture of this region. 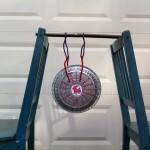 Gongs can be found throughout Asia. 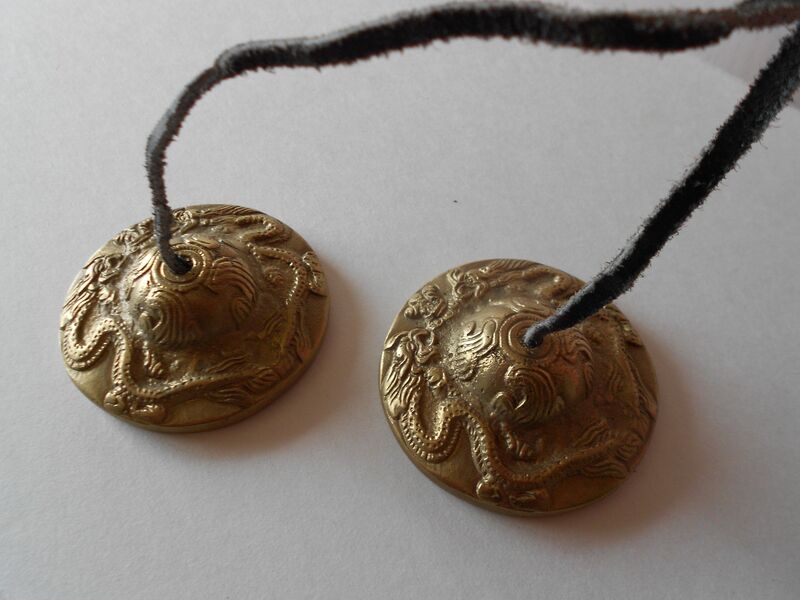 Although they vary in shape, size, materials and design, they play an important role in almost every aspect of daily life from the mundane – calling people to rest or eat – to the most solemn and serious ceremonies or religious rituals. 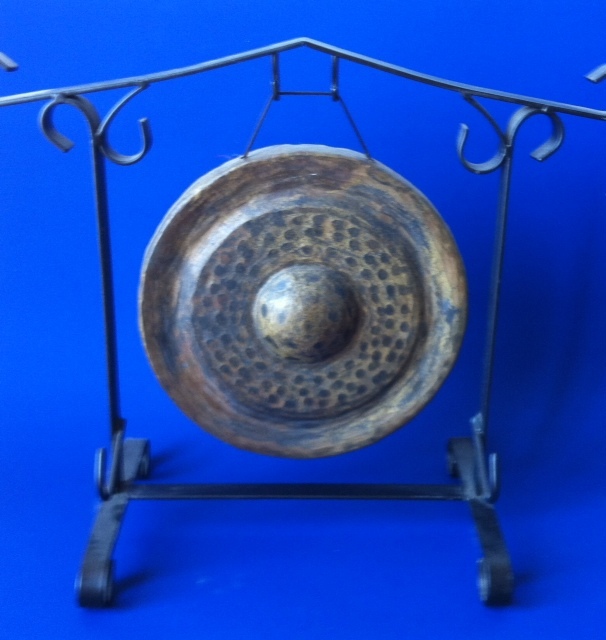 These handbells date back to ancient times and play an important role in meditation as well as Buddhist ceremonies. 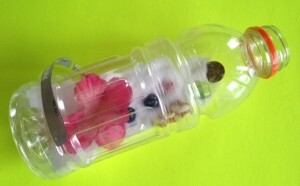 You can make a craft version at home with recycled materials and learn a bit more about their background here. 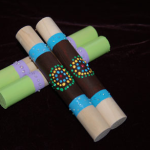 Hawaiian and Polynesian cultures had created these truly unique rhythm sticks. 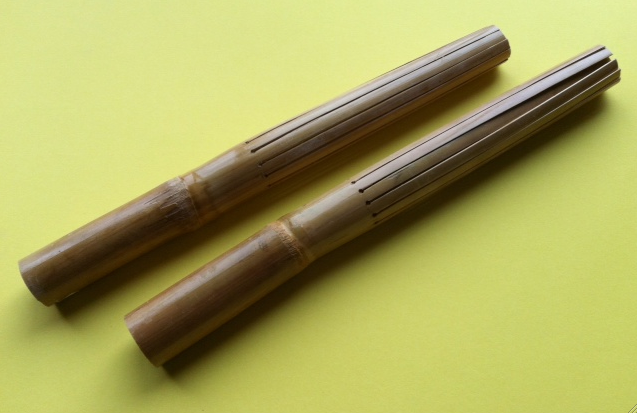 Made of lengths of bamboo, they have cuts (slits) on one end that rattle when played. 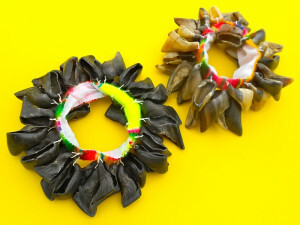 Not only is it incredibly simple to make your own pu’ile at home, but you can use them to develop motor skills or try out some of the coordinated movements that are part of this intricate hula tradition. 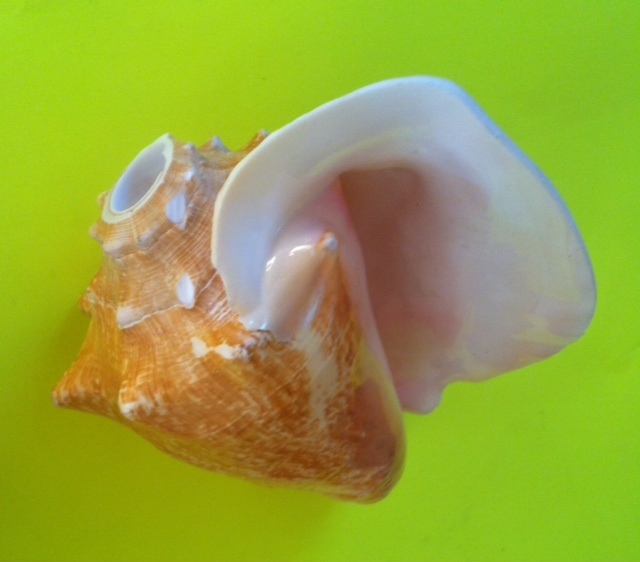 Everyone loves a beautiful seashell – but did you know that a few simple modifications can turn one into an impressive natural trumpet? And, seriously – they are loud and awe-inspiring! 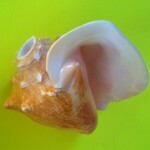 Although this post is about how the conch trumpet was used in Aztec times, the same shell horn is seen in various Asian-Pacific cultures such as Tibetan, Hawaiian and Polynesian cultures as well as pictured in drawings of ancient Korean court ceremonies. In honor of Asian-Pacific American Heritage Month, Multicultural Kid Blogs is sponsoring a blog hop, and you are invited! We are celebrating the cultures and peoples of this diverse region by sharing our posts and asking other bloggers to do the same! Our hope is to create a wonderful resource for celebrating Asian-Pacific American Heritage Month with children. Be sure to visit the other co-hosts of the blog hop (listed below). You can find even more resources on this region in our Asia and Australia and Oceania boards on Pinterest! Is your child interested in learning an instrument? 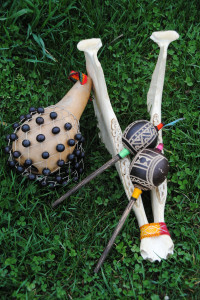 Although kids get excited about all kinds of instruments as they explore music, it can be helpful to choose an easier “first instrument” to begin to learn to play. That way, the process is rewarding sooner and it builds confidence in their ability to learn. The ukulele is a perfect size for children to hold and play. The fretboard is easy to see and the strings are not hard to hold down. The ukulele has 4 strings and most common chords are formed from very easy combinations of finger positions. Most ukulele songbooks are written in tablature – an easy-to-read graph that shows you where to place your fingers. By following the tablature, you can learn many of your favorite songs within hours. 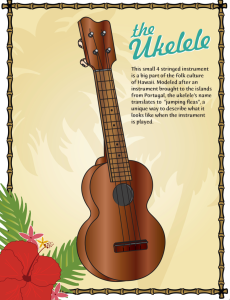 A ukulele is small and lightweight – easy to take out to practice or perform for others. 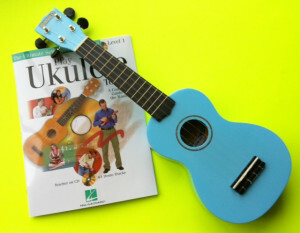 A ukulele can easily play the chords to a song while a parent, sibling or other friends clap along or play the beat on a simple percussion instrument like a tambourine or shaker. A ukulele can easily play the chords to a song while a parent, sibling or other friend play the same song on guitar for an instant musical duet! It’s easy to be inspired to play when you see young children really shining as they master the basics of this easy instrument. Take a look at this 8 year old sharing one of his favorite songs at a ukulele festival or check out our Hawaiian video page that features a variety of ukulele players – many of them under 10 years old! A ukulele is a great first instrument for an adult as well. And you can give your child a real gift by learning along with them. They can see you try and fail, try and succeed and understand what it means to have patience and to take the time to learn and grow at a new skill. Showing a child how everyone struggles with learning new things and eventually succeeds is a powerful life lesson that will resonate in every area of their life. Although a good ukulele is not very expensive, make sure you buy one that sounds good to your ears and has sturdy tuning pegs (the little knobs at the top of the fretboard). Cheaper ukuleles will not hold their tuning and can be incredibly frustrating to play. 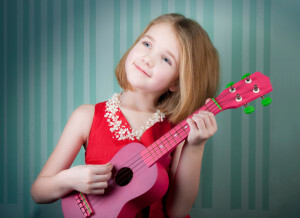 It’s hard for a child or any new learner to be getting their part right while the uke slips out of tune and sounds like it’s playing the wrong chords. You can opt to buy from a local music store where the staff can show you several options and hopefully play them for you. Or you can buy online after checking customer reviews. Look for a model that fits your budget but also gets good reviews from first time players. The Ukulele – 4 Strings and Jumping Fleas! 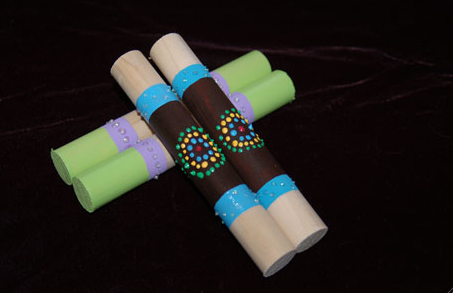 Rhythm sticks are great additions to almost any type of musical play with children. 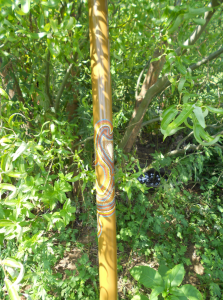 Found all around the world, most rhythm sticks are about 6 to 8” long and made of solid wood. 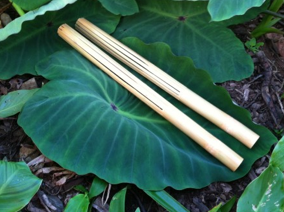 Hawaiian rhythm sticks, however, take a really unique approach to this age-old instrument. 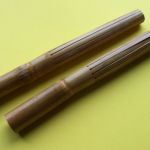 Called pu’ili; they are made from longer sticks of bamboo, solid on one end and slit on the other to make a rattling noise when struck together. And they are tapped in many different ways, often as part of the hula tradition so making and playing your own pu’ili sticks can be a fun way to enjoy movement and music at the same time. 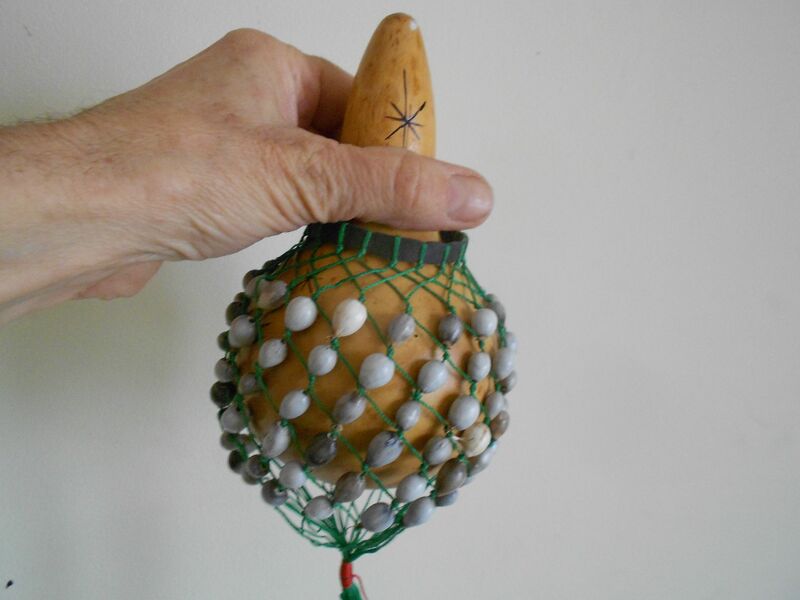 Want to see how they are played as part of the Hawaiian tradition? Watch this short video and you will be amazed at the coordination of the dancers and the many different ways two sticks can be used to create rhythm and become part of the graceful moves in this dance. This is such an easy craft. 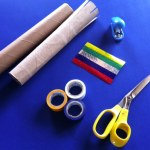 Simply cut slits in one side of the cardboard rolls and use the electrical tape or duct tape to wrap the other (uncut) end. 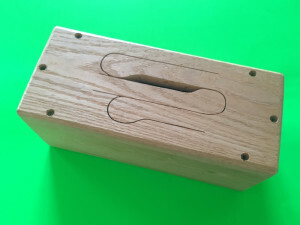 This will indicate which side to hold and help the sticks last longer. 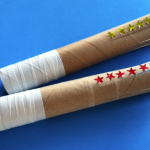 Although it’s not traditional, you can decorate the cut side, using markers or stickers, paint, glitter and glue or whatever inspires your imagination. Once you’re done – it’s time to play! One quick note here, since they are made of cardboard, these pu’ili sticks may not last a long time. 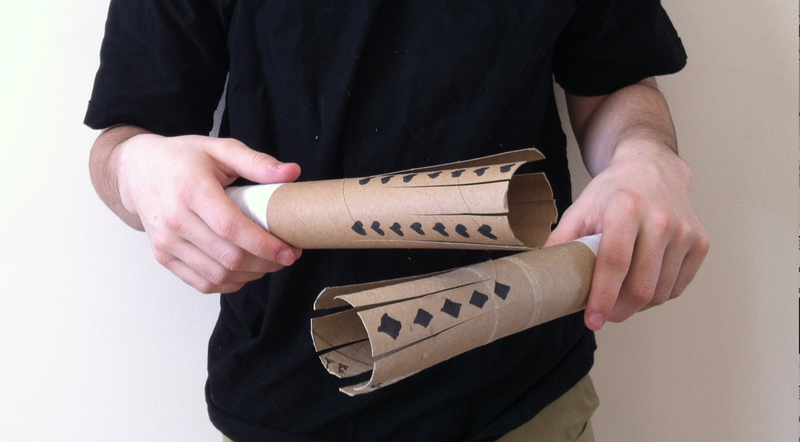 If you enjoy this musical craft, it may be a good idea to save these paper towel rolls and make several pairs. Hold one stick in your right hand in front of you. Tap with the left stick. Hold one stick in your left hand in front of you. Tap with the right stick. 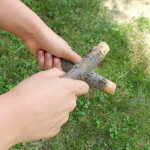 Hold one stick in your right hand by your right shoulder. Tap with the left stick. 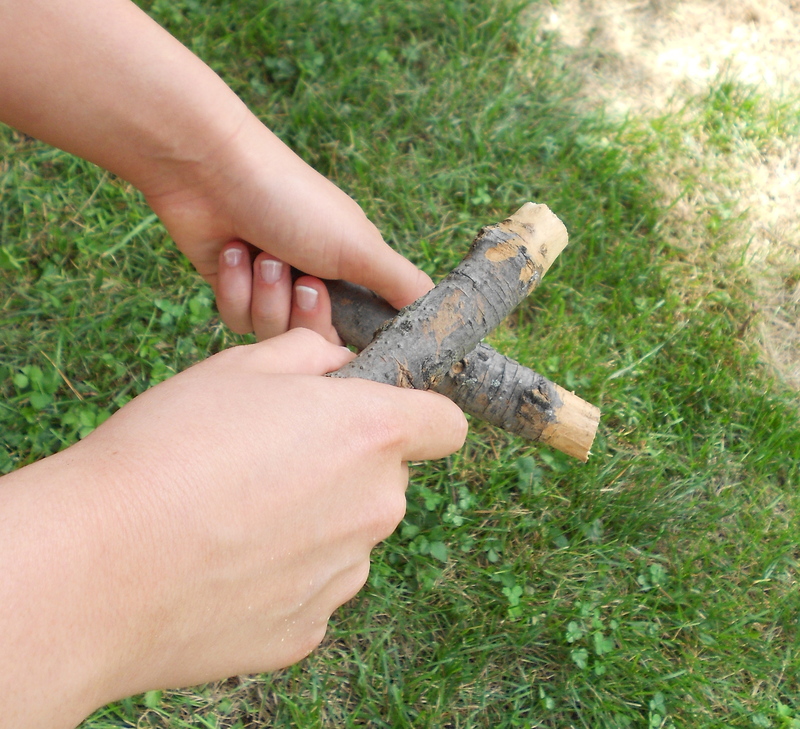 Hold one stick in your left hand by your left shoulder. Tap with the right stick. 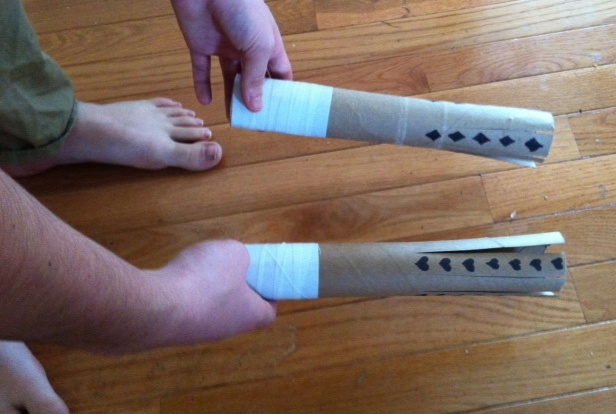 Tap the two wrapped ends together in front of you. 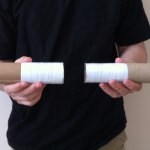 (If seated at a desk or table) Tap the two wrapped ends on the desk or table in front of you. 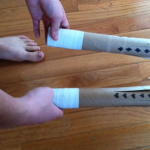 (If seated on the ground) Tap the two wrapped ends on the ground in front of you. If standing, tap both sticks on the ground by your right toe. If standing, tap both sticks on the ground by your left toe. Mix and match these moves. Mix and match these moves in time with Hawaiian music. Mix and match these moves in time with any of your favorite types of music. Once you’ve mastered the basic moves, you can also play with an adult, partner, friend or even a group. In the video above, you probably noticed how the dancers tapped each other’s sticks. You can try something similar. If you sit across from a partner, pick out what moves you want to do (such as – let’s tap right, then left sticks in the middle) and give them a try. 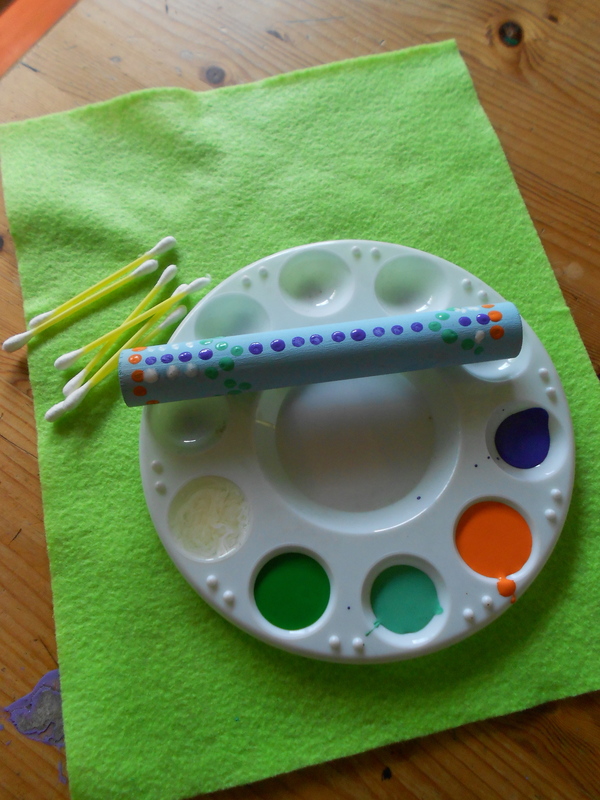 Make up your own patterns with or without music. 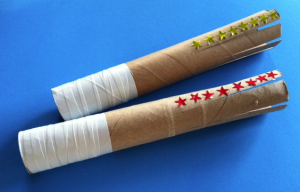 Everyone taps both wrapped ends on the ground twice, then taps both sticks together in front of themselves. Everyone taps both wrapped ends on the ground twice, then reaches out to tap the sticks of their neighbors, both right and left. Repeat the pattern while keeping a beat. Try it without music, while singing or while playing recorded music.